Cook the rice and dal. 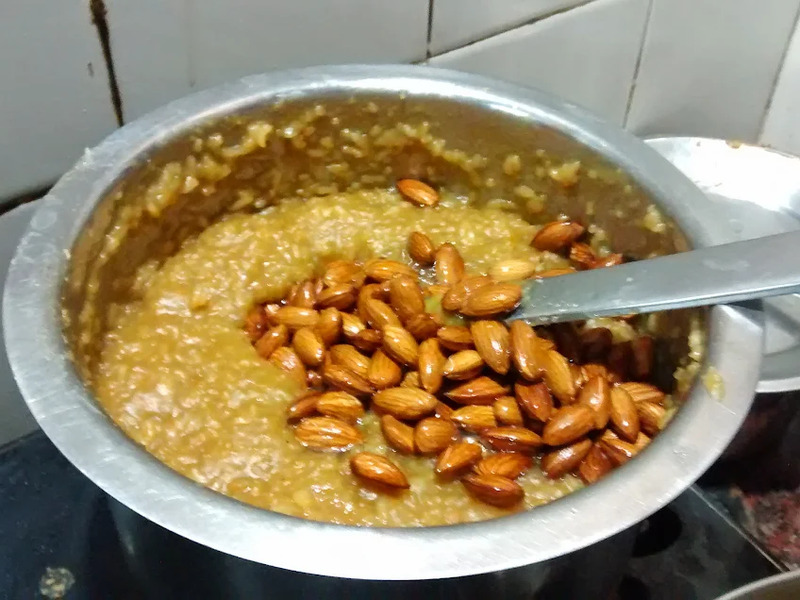 Add jaggery and water and prepare a thick solution. Add the solution to the cooked rice and dal, keep stirring. Fry the almond in ghee and add to the rice dal mix. Add fried cashew nut and mix well. Add the remaining ghee to the rice dal and keep it covered without stirring. Stir when it is time to serve.